IT is said by some that there is no fixed time or order between the embrace, the kiss, and the pressing or scratching with the nails or fingers, but that all these things should be done generally before sexual union takes place, while striking and making the various sounds generally takes place at the time of the union. Vatsyayana, however, thinks that anything may take place at any time, for love does not care for time or order. On the occasion of the first congress, kissing and the other things mentioned above should be done moderately, they should not be continued for a long time, and should be done alternately. On subsequent occasions, however, the reverse of all this may take place, and moderation will not be necessary, they may continue for a long time, and, for the purpose of kindling love, they may be all done at the same time. The following are the places for kissing: the forehead, the eyes, the cheeks, the throat, the bosom, the breasts, the lips, and the interior of the mouth. Moreover the people of the Lat country kiss also on the following places: the joints of the thighs, the arms and the navel. But Vatsyayana thinks that though kissing is practised by these people in the above places on account of the intensity of their love, and the customs of their country, it is not fit to be practised by all. When a girl only touches the mouth of her lover with her own, but does not herself do anything, it is called the ‘nominal kiss’. When a girl, setting aside her bashfulness a little, wishes to touch the lip that is pressed into her mouth, and with that object moves her lower lip, but not the upper one, it is called the ‘throbbing kiss’. When a girl touches her lover’s lip with her tongue, and having shut her eyes, places her hands on those of her lover, it is called the ‘touching kiss’. When the lips of two lovers are brought into direct contact with each other, it is called a ‘straight kiss’. When the heads of two lovers are bent towards each other, and when so bent, kissing takes place, it is called a ‘bent kiss’. When one of them turns up the face of the other by holding the head and chin, and then kissing, it is called a ‘turned kiss’. Lastly when the lower lip is pressed with much force, it is called a ‘pressed kiss’. There is also a fifth kind of kiss called the ‘greatly pressed kiss’, which is effected by taking hold of the lower lip between two fingers, and then, after touching it with the tongue, pressing it with great force with the lip. As regards kissing, a wager may be laid as to which will get hold of the lips of the other first. If the woman loses, she should pretend to cry, should keep her lover off by shaking her hands, and turn away from him and dispute with him saying, ‘let another wager be laid’. If she loses this a second time, she should appear doubly distressed, and when her lover is off his guard or asleep, she should get hold of his lower lip, and hold it in her teeth, so that it should not slip away, and then she should laugh, make a loud noise, deride him, dance about, and say whatever she likes in a joking way, moving her eyebrows and rolling her eyes. Such are the wagers and quarrels as far as kissing is concerned, but the same may be applied with regard to the pressing or scratching with the nails and fingers, biting and striking. All these however are only peculiar to men and women of intense passion. When a man kisses the upper lip of a woman, while she in return kisses his lower lip, it is called the ‘kiss of the upper lip’. 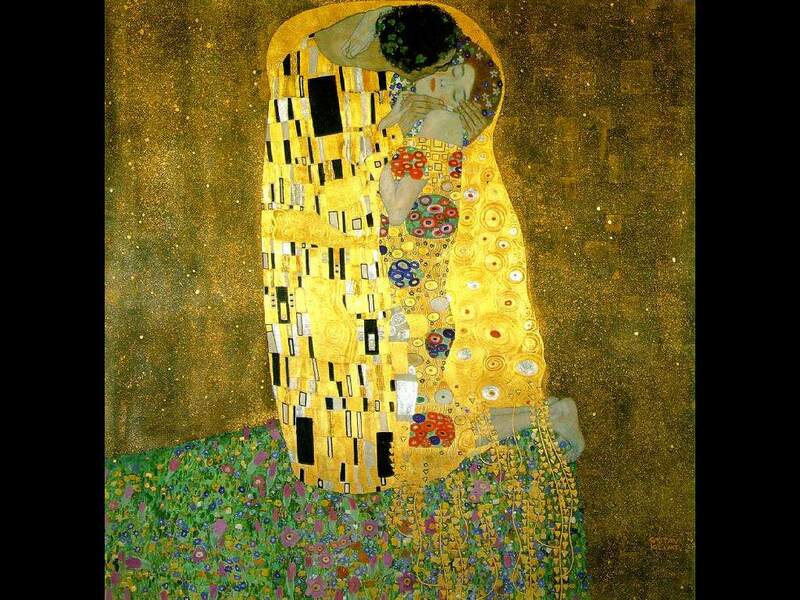 When one of them takes both the lips of the other between his or her own, it is called ‘a clasping kiss’. A woman, however, only takes this kind of kiss from a man who has no moustache. And on the occasion of this kiss, if one of them touches the teeth, the tongue, and the palate of the other, with his or her tongue, it is called the ‘fighting of the tongue’. In the same way, the pressing of the teeth of the one against the mouth of the other is to be practised. Kissing is of four kinds: moderate, contracted, pressed, and soft, according to the different parts of the body which are kissed, for different kinds of kisses are appropriate for different parts of the body. When a woman looks at the face of her lover while he is asleep and kisses it to show her intention or desire, it is called a ‘kiss that kindles love’. When a woman kisses her lover while he is engaged in business, or while he is quarrelling with her, or while he is looking at something else, so that his mind may be turned away, it is called a ‘kiss that turns away’. When a lover coming home late at night kisses his beloved, who is asleep on her bed, in order to show her his desire, it is called a ‘kiss that awakens’. On such an occasion the woman may pretend to be asleep at the time of her lover’s arrival, so that she may know his intention and obtain respect from him. When a person kisses the reflection of the person he loves in a mirror, in water, or on a wall, it is called a ‘kiss showing the intention’. When a person kisses a child sitting on his lap, or a picture, or an image, or figure, in the presence of the person beloved by him, it is called a ‘transferred kiss’. When at night at a theatre, or in an assembly of caste men, a man coming up to a woman kisses a finger of her hand if she be standing, or a toe of her foot if she be sitting, or when a woman is shampooing her lover’s body, places her face on his thigh (as if she was sleepy) so as to inflame his passion, and kisses his thigh or great toe, it is called a ‘demonstrative kiss’.